Our design team can turn your goals into a project plan with computer generated designs. Our team turns those designs into blueprints and rock solid plans to initiate the project. Throughout the build, our team identifies and communicates with the customer at all times. When the project is done, the next step is on to the customer - to enjoy their investment! 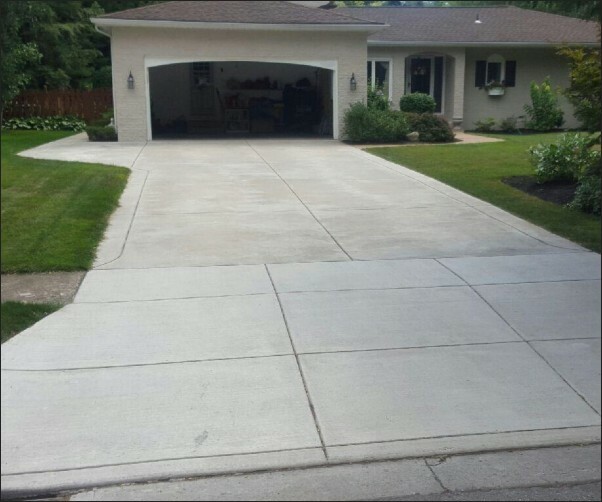 Trust the experience and skills of Spring Creek Concrete to provide you with the very best in Concrete Construction on Western New York! There’s a reason that modern roadways, bridges and parking ramps are constructed from concrete. In terms of strength and long-term structural integrity, concrete is one of the most functional materials available. Whether you own a small car or a large SUV, your vehicle weighs thousands of pounds. Concrete’s immense denseness and strength makes it an ideal load-bearing material. When poured correctly, concrete driveways, walkways, steps and more are also highly unlikely to crack in an area other than a tool joint or saw cut. Ownership Management on EVERY Project. Locally owned business... keep your money in Western NY! Experience, with the assurance of long term support! You guys did a great job putting in my new driveway and I really appreciate it. Both started and completed on time, and the results exceeded even our high expectations. We love our new back yard!